Michael graduated from the University of Rhode Island with a degree in Finance. 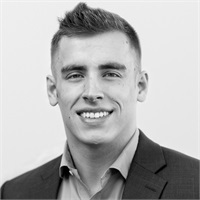 Through a family connection to our firm, Michael met with leadership team members and decided this was a fit for him based on the support and knowledge of the team. A true passion for helping others Michael found financial services the best of both worlds. He is enabled to grow a business of his own early to enjoy flexibility later in life while holding true to his core values. As Michael grows his practice he will integrate comprehensive financial strategies leveraging the resources within the firm. His mission is to help clients see that working with an advisor gives them an advantage when planning for their future and the future of their families and businesses. In his spare time, Michael enjoys watching sports, spending time with his family and dog, and working out both in traditional gyms and in combat sports gyms.